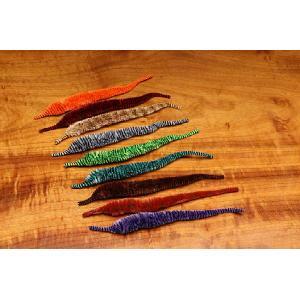 VARIGATED DRAGON TAILS ARE WONDERFUL ON LARGE FLIES FOR MUSKIES, TIGER MUSKIES AND SALTWATER FISH. AVAILABLE IN A VARIETY OF COLORS. WONDERFUL ACTION IN THE WATER. DRAGON TAIL 6" BRN / FL OR.